New laws being considered by parliament would allow police to disperse people taking part in a lawful assembly and arrest those that did not comply. There is no need for the demonstration to have been disorderly or violent – the only requirement would be that the dispersal was ‘necessary to reduce the likelihood of anti-social behaviour’. The Crime and Anti-Social Behaviour Bill proposes new powers of dispersal that allows any police officer of the rank of Inspector or above to order people to leave an area for up to 48 hours. It allows the police to specify the time at which a group must disperse, and the route by which they should do so. The police would be able use this power whenever they consider that dispersal is ‘necessary to reduce the likelihood of’ anti-social behaviour, crime or disorder. 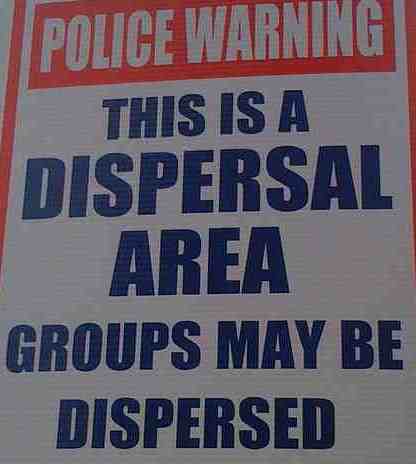 Failure to disperse would be an arrestable offence, with a maximum sentence of three months imprisonment. Those who the police believe are under sixteen could be removed to a ‘place of safety’. The police would also have powers to seize items that they believe could be used in anti-social behaviour. The term anti-social behaviour’ is interpreted widely by police, who have often applied it to any behaviour they consider unwelcome and unwanted. This has often included protest, and they have an extensive track record of using existing anti-social behaviour legislation against lawful protest. 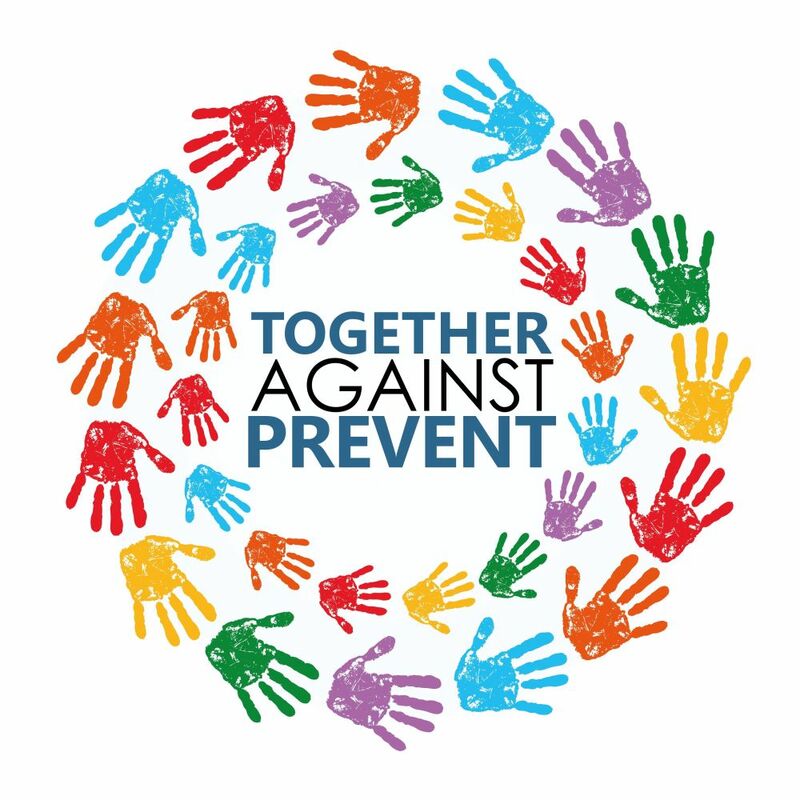 It is inevitable that any new powers to disperse on the basis of a likelihood of anti-social behaviour will also be used against people taking part in political assemblies and demonstrations. There are protections built-in to the statute, but these apply only to trade union pickets authorised under section 220 of the Trade Union and Labour Relations (Consolidation) Act 1992 or political protest where written notice has been provided under section 11 of the Public Order Act 1986. Many lawful political gatherings do not meet these criteria. Yet, as the legislation stands, participants could be faced with the choice of ceasing their protest or facing arrest, merely on the say-so of a police Inspector. The broad nature of these powers suggests that they could also be misused in situations unconnected with protest, where no human rights protections apply. Any gathering of people could be dispersed without the need for suspicion of criminal activity, merely on the assessment of a police officer that anti-social behaviour is ‘likely’ to occur. The potential for this power to be misused is enormous, particularly in areas where there is little existing trust between local communities and the police. The proposed new power combines and replaces two existing dispersal powers – s27 of the Violent Crime Reduction Act and s30 of the Anti-social behaviour Act. But in doing so removes restrictions on the way these dispersal powers could be used. Section 30 of the Anti-Social Behaviour Act, currently in force, allows the police to act in areas where there are on-going problems of anti-social behaviour. The new power allows the police to disperse without prior notice, and on their discretion alone. Section 27 of the Violent Crime Reduction Act, also currently in force, allows police to disperse where they perceive a likelihood of alcohol related disorder. This has been criticised by organisations such as the Football Supporters Federation, who say that the power has been used in a blanket fashion, meaning that law abiding football supporters have been turned back after hours of travelling and stopped from attending games for which they had bought tickets. Netpol have also recorded instances in which s27 has been used to force people to leave an area, including a group (and legal observer) at the ‘Thatcher Party’ in Trafalgar Square earlier this year. The police already have extensive powers to disperse or contain where there is a real threat of violence or criminality, or where there is an on-going pattern of anti-social behaviour in residential areas. There is no need for these extended powers, which can only result in further restriction of freedom of assembly, and will increase the potential for discriminatory behaviour that will inflame community tensions. This is a much watered down version of what I was reading yesterday, or that may have been a much exaggerated version of this, but I believe there are clauses relating to abusive remarks etc. ( It is possible calling folk “plebs” “skivers” and “scroungers” is excused), and the powers may be extended to lower rankiing officers and civilian groups. My impression was that this bill is a brownshirts bill of rights and potentially very nasty. I wish I could remember how I came to the version I saw. It vanished as I was reading. I forgot to add: THE ”LAWS” ARE STILL THERE TO THIS DAY (FOR A YEAR) WITH NO END IN SIGHT. This should be a warning to all! They promised our local community it will be only for 2-months but now it has gone on for 12 long months. This is the usual correct fear against tyranny, show some levels of ignorance and apathy it will continue to dominate you more and more with no limit or end until you get your heads out your a*** and decided to fight back. These laws have been in FULL action since 2012.
ok set up a petition opposing this 22 hours ago http://www.change.org/en-GB/petitions/uk-government-reject-the-anti-social-behaviour-crime-and-policing-bill# HERE , it has a few thousand signatures already, anybody wanna help see if we can get it to 100k? This abuse of power is like a slow creeping cancer, so slow in fact that we dont see the effects until it’s too late. So we know this is happening, what do we do about it? Absolutely right. Whatever happened to democracy? Every human should have the right to demonstrate peacefully. We are lurching towards a dictatorship…you will think and act as the government deems fit. It’s truly frightening and I was once a Tory voter. This crowd are traitors to those who fought and died to protect our right to demonstrate. I fear the discretion that the police will actually apply to the protestors. This leaves them with even less to expect in protection by the police. JP Morgan will consider it a move in the right direction. After all, the bank wants to get rid of employment and political rights that it considers were ‘unfortunately’ granted across Europe in the wake of WWII and the defeat of fascism.